The Good Girls picks up where The Perfectionists left off with the girls accused of murdering creepy teacher Granger and still unsure of just what happened to Nolan, the boy they played a prank on the night he died. As the novel progresses the girls realise that someone must have gotten their hands on the list they made that fateful day in film studies class when other names included also turn up injured or worse. The girls have no idea who might have overheard them or found their list of 'enemies' but with all eyes on them they have to find out before it's too late. Having enjoyed getting to know a little about each of the characters in the first book I loved learning more about their personalities in the sequel. Just like the first book the chapters alternate between the five girls' different points of view, exploring each of their individual stories as well as the murders bringing them all together. Due to the switching of perspectives and volume of main characters it can be tricky to get to know them individually but I felt their differences came across a little more in this instalment. The book ends with a nice albeit fairly predictable twist. I'll admit I suspected it might be the case after finishing the first book but still enjoyed the reveal and finishing this journey with these characters. 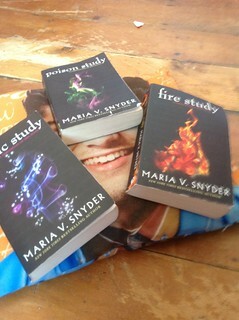 If you're looking for a quick-to-read teen mystery series this may be the one for you! This month we want you guys to get creative with your books - more specifically your book spines! Inspired by our regular reviewer Anjali's Book Spine Poetry series on her blog, we'd love to so see you guys create some poems based on the spines or covers of your books. You can take a photo and send it to us by email, or post them on Twitter (tweet us at @blog_bookshelf) and Instagram using the hashtag #BBBookSpines. There's no limit to your creativity here and we'd love to see as many of you give it a go! We'll need your creative entries in by 9th September, as the post will be going up on the 12th September. We can't wait to read your poems! 1/ Which Fangirl Are You? - here at BB we're big fans of Rainbow Rowell's writing and have a soft spot for her YA novel Fangirl. This fun Buzzfeed quiz will tell you which of the novel's characters you're most like - don't forget to let us know who you get! 2/ All About Alice - our very own Ria shared a roundup of beautiful Alice In Wonderland covers in celebration of the book's 150th anniversary. There are so many amazing ones to choose from, but which design is your favourite? 3/ Nerdy Charts - we love this graphics from Epic Reads which we're sure you'll all be able to relate to! 4/ Writing Tips - Bee's post shares some brilliant advice for writing short stories, after reading it we're feeling very inspired! If you're looking to start, or get back into, penning some of your own stories this fab post is definitely worth a read. 5/ Do The Twist - if you're on the lookout for a book with an incredible twist, look no further. This roundup post from Bookbub Blog lists eleven great titles to choose from, all with unexpected plot twists! 6/ Looking Forward - in this 'top five' post Ali shares the upcoming 2015 releases she's most excited to read. We love Ali's choices, but which books would make your list? 7/ Ready Player Two? - the team over at Goodreads shared another brilliant interview recently, this time with Ready Player One and Armada author Ernest Cline. He talks about both of his geeky novels (there's even talk of sequels!) as well as the upcoming RPO adaptation set to be directed by none other than Steven Spielberg. 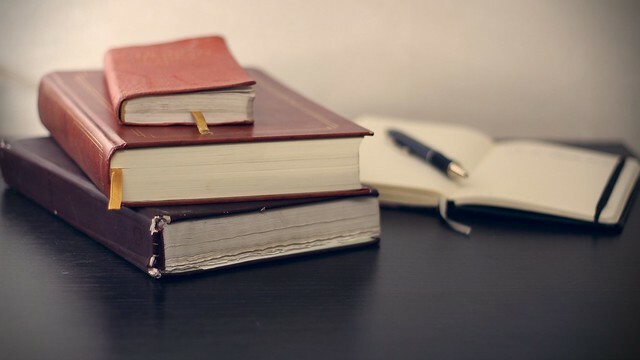 8/ The Big Issues - in a recent post blogger Beth discussed the importance of big issues within YA literature, something that we feel isn't always talked about enough, and shared a personal story of how they can truly make a real difference. 9/ Paper Houses - Louise shared a lovely post all about some amazing cut paper collages created by Amanda White. Each image depicts the house of a well-known English author, from Beatrix Potter to John Keats. 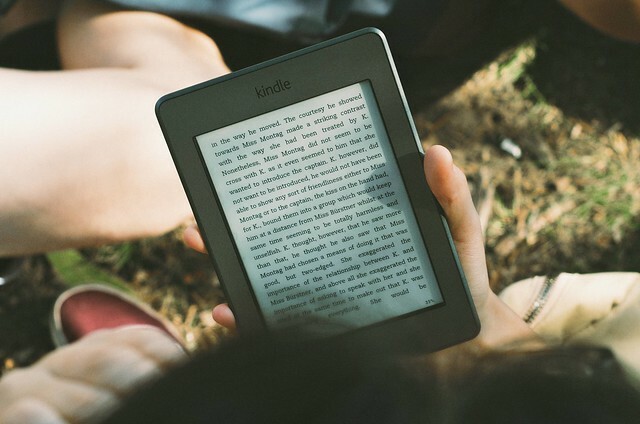 10/ Reading By Numbers - our final post of this month's roundup comes from Joséphine, who sparked an interesting discussion with her recent post on quantified reading. Do you find target numbers helpful or stressful when it comes to reading? She cannot run. She cannot walk. 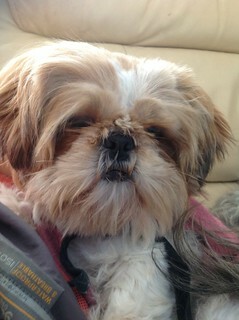 She cannot even blink. As her batteries run down for the final time, all she can do is speak. Will you listen? "A young Puritan woman travels to the New World with her unwanted new husband. Alan Turing, the renowned mathematician and code breaker, writes letters to his best friend's mother. A Jewish refugee and professor of computer science struggles to reconnect with his increasingly detached wife. An isolated and traumatized young girl exchanges messages with an intelligent software program. A former Silicon Valley Wunderkind is imprisoned for creating illegal lifelike dolls. Speak follows the stories of 5 different characters (or 6...possibly 7), as Good Reads has kindly mentioned for us. Mary writes in her diary as she travels by boat to the New World; Alan Turing writes letters to his best friend's mother about his life and the things he's working on; Karl and Ruth Dettman are falling apart in their marriage; a transcript used in Stephen R. Chinn's trial shows conversations between Gaby, a young girl and a robot; and Stephen R. Chinn, a computer programmer writes his memoirs in a Texas jail in 2040. While all the stories seem unconnected, as the story progresses you start to see the links between them, and the artificial intelligence, MARY3, as a connecting point. It's a little hard to write about the plot or the settings or any of that because of how the book is written. There isn't a narrator, other than the individuals who speak their story in some form (diary, letters, online conversations, memoirs), and I guess that's the point. It was a very thought-provoking book at times, and it definitely got me thinking about communication and how much of that is us being who we are, and how and what makes us truly human. One of my favourite lines is by Gaby, as she lies unable to move in her bedroom, unable to speak. "Tell me what happens next, after my body has frozen. When I can't communicate. What will I be?" At this stage in the story (quite early on) I was really enjoying it. My favourite voice was the conversation between Gaby and MARY3, and while I did enjoy the others at the beginning, as the story went on I did find myself getting bored. I was tired of hearing about Mary on her boat and her insane obsession with her dog, and her weird diary-writing style, and I didn't care much for many of the other characters. However, it was a very well written book, and Hall has a great style in all the different voices she writes. I think, while I wouldn't read it again, I am glad I read it. For me, it just reiterated the fact that making robots that think and talk is a bad idea. It can only go badly. What's important is people; our thoughts, our fears, our connections with loved ones, our life and eventual death. It's like that for a reason, and we shouldn't try to mess with that. 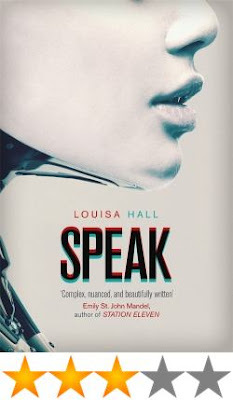 Speak is a great book for people who like A.I. stories, and stories with a multitude of seemingly unconnected characters, spanning centuries. As I said, it's thought provoking, educational, and brilliantly written, especially for Hall's second book. I think we all have a particular genre that we tend to stick to when reading. For me, it's young adult dystopian or romance (what can I say, I'm a walking stereotype for teenage girls). Whilst there's nothing wrong with that, it can lead you to neglecting a lot of good books just because they aren't what you would usually read. Recently I got really bored with reading, and when I looked back at what I had been reading recently I realised that it was probably due to the fact that I hadn't read anything outside of my favourite genres in around a year and I was getting a little bit sick of them. So, I decided to step out of my comfort zone and read something different. I started with a court of thorns and roses. 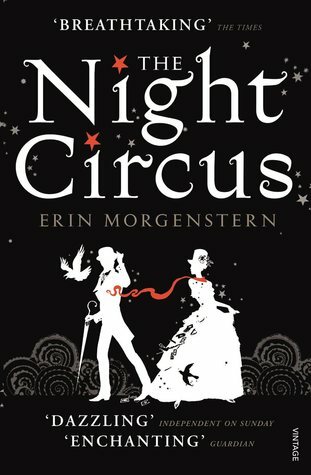 Whilst this is still YA and romance, it is also a fantasy book, a genre I usually don't tend to enjoy, with the exception of Harry Potter. To my surprise I really enjoyed it, and so decided to start looking into more fantasy novels such as Game of Thrones. Not only is this fantasy, but it's also insanely long (or at least compared to the books I usually read anyway). However, I really like it so far, even if it is taking me a very long time to read. Another genre I decided I wanted to try that I hadn't read in a very long time was non fiction. So, I picked up Do Not Harm, which is the memoirs of a brain surgeon, and I absolutely loved it. I would recommend it to anyone (except squeamish people as it gets fairly graphic at times!) 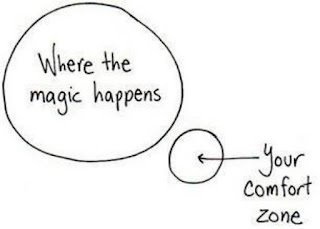 Had I not stepped out of my reading comfort zone, I never would have discovered it, and I feel like my love of reading has been renewed because I'm not reading similar books all the time. I have a few tips for anyone who feels like they want to start reading different genres. Firstly, start by picking something that is not completely different to genres you already read. Also, I find I tend to stick to genres that I know because otherwise there are so many books I don't know where to start! To avoid this problem, make use of book blogs, booktubers, goodreads and other places. Top 10 lists are a great place to start! Finally, utilise libraries and charity shops, to avoid spending a lot of money of books you might not like very much. Try reading new things. Who knows, you could even find a new favourite genre! In a world where a hidden paranormal compound exists within a society exactly like ours, inhabitants use advanced technology as part of their daily life to enhance their mind powers they were born with. Addie is a Searcher - when given a choice, she can 'search' the two paths and be shown each alternate future before making a decision. When Addie's parents tell her they're getting a divorce and she must decide whether she would like to stay with her mother inside the compound or go out into the "norm" world with her father and live without her paranormal powers. Carrying out the longest search she has ever done, Addie views the alternate realities of living with each parent over six weeks. With alternating chapters switching between the mother-decision and the father-decision, the storylines became slightly harder to distinguish as the book went on. Each story involved the same characters, but in a different way and at times, I lost which future I was reading about and it took a lot of concentration to think through so I could follow each plot. The way the two stories weaved together was interesting and towards the end, I could see how things would make sense in either future. 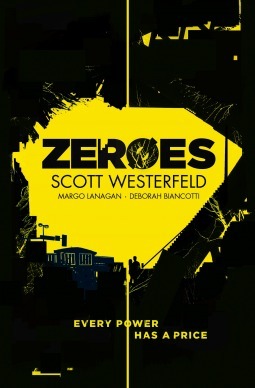 I didn't particularly feel a connection to any of the characters, although I did enjoy reading the story. I felt as though the story focused on the events and less on the characters themselves. By the end, I didn't really feel like I knew Addie, or anybody else in the story. The romantic aspects are quite heavy in both futures, but again I just didn't feel connected to the characters or the romantic interest aspect. One of the main ways I give star-ratings on my reviews is by how much I enjoyed reading the book, then any comments within my review expand on my actual thoughts. I settled on four stars for this book as it kept me entertained, had twists and turns that I wasn't expecting and was generally an enjoyable read. 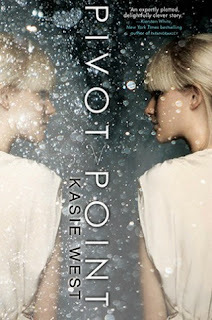 Pivot Point felt like more of a contemporary with a slight difference in that the characters could use certain mind tricks, it didn't feel like a typical paranormal story so if you're looking at getting into the genre but don't want to start with anything too heavy, I would highly recommend this book. *Image and eBook provided by the publisher in exchange for an honest review. The morning after witnessing a spectacular meteorite shower, humanity wakes up immortal, but still susceptible to diseases and even more sensitive to pain. News bulletins claim the meteorites released a chemical compound, called ATHENS, that caused the mutation. Now the majority of food supplies are contaminated and the rich are controlling what little is left. Lana and Corey accidentally discover a secret government device and find themselves caught up in a diabolical plot to control the future of humanity. I enjoy reading short books like this, less than 200 pages. I enjoy these because it means there are no words wasted. Everything written is meant to aid the story, not distract or bore. Nnsenga & Francis do not disappoint. There are no extraneous details, there are no long, boring monologues, and the exposition is kept in good pace with the action. And there is a lot of action, something else I enjoy in my stories that have romance. There are few characters we actually get to know in this book. It's from the point of view of the main characters of Lana and Cory. They knew each other before The Sabbath (the meteorite shower) and remain together in the aftermath, keeping themselves and Cory's sister, Isabel, safe. 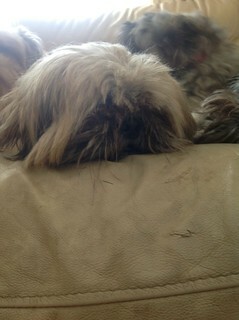 Their relationship isn't perfect, but neither is the environment they're in. I will admit, there were a few times I thought "can we please put the relationship drama aside until the action is over?" But I've been told, several times, that it's actually more true-to-life than I give it credit for. As much as I love the shorter book format, it does come with a challenge for authors: world building is incredibly difficult. 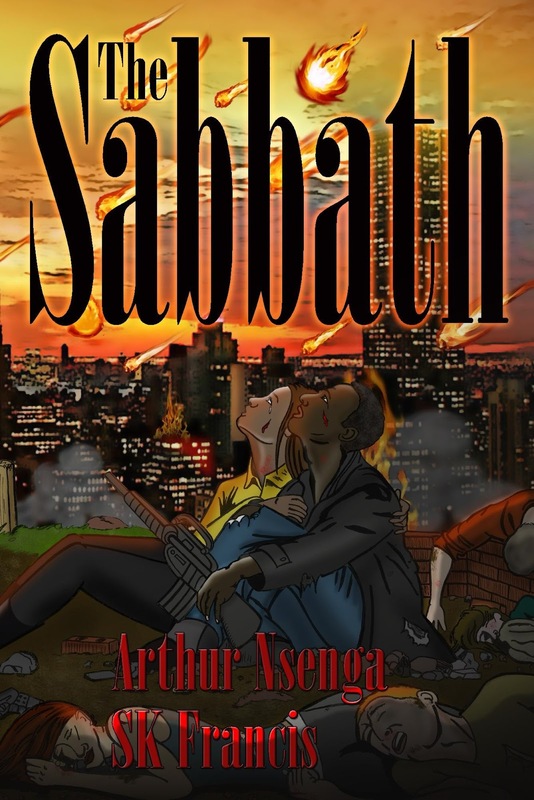 Unfortunately, the world The Sabbath takes place in is difficult for me to picture. When they talk about the government controlling everything, it seems to big for any one country's government to do. * The coalition of rebels makes me wonder if "The Government" is just one country or a new world-wide government that took over in the year after the Sabbath. There are a lot of questions about this world that the authors just don't have the time to answer, though they did leave things open for a sequel. 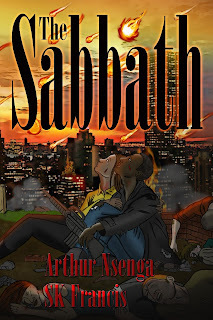 If you enjoy apocalyptic books, government conspiracies, and/or survival stories, you will like The Sabbath. There are questions about the world, but the characters are real and the implications of immortality being too-good-to-be-true are interesting. The different lengths people will go to in order to provide for themselves and their families are central to the story and accurate. Overall, it's a good read. *There is a hint that it's actually another group controlling everything but that still seems out there. 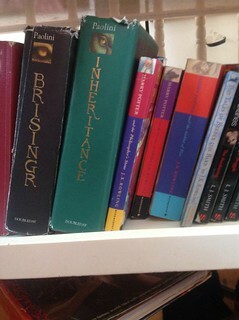 BB: Hi Isha, welcome to Blogger's Bookshelf! For anyone who hasn't yet discovered Two Sisters Bloggin' could you tell us a little bit more about yourself? Hey! I only started blogging recently so none of you probably know us yet. I'm Isha and I blog at Two Sisters Bloggin', which is literary & lifestyle blog. I'm from a little country called Ireland. I'm 18. A big sister. 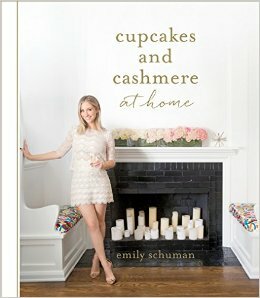 I love reading books with strong heroines and I love cooking and baking for people. BB: Your blog is a collaboration between yourself & your younger sister. What made you want to start a blog together and what do you think are the benefits of working on it as a team? My younger sister and I have a really close relationship. We fight a lot but we're basically best friends (even if we don't admit it) and we do most things together. We both wanted to start a blog, so we decided why not collaborate so we could make the experience even more fun? The benefits of working as a team is that we never run out of ideas. I have stuff I'm passionate that I could blog about and she can blog about the things she loves. Why must you make choose favourites? That's cruel! But if I have to choose it would be Simon & the Homo Sapiens Agenda by Becky Albertalli. This was my first LGBT book so it'll hold a special place in my heart and The Wrath & the Dawn by Renee Ahdieh because her writing was just incredible and it was nice to get a taste of the Arabian culture. I definitely recommend both books if you haven't read them yet. BB: On your blog's About page you mention that you love binge-watching TV shows (we do too!). Do you have any favourite shows that are based on books? Yes, I watch too many TV shows it's surreal! Some shows that I watch that are based on books (not necessarily following the plot!) would be Grey's Anatomy, the 100, Pretty Little Liars and The Carrie Diaries. If I could swap lives with a fictional character for a day it would be Magnus Bane. He's sassy, funny, fabulous and loves glitter! He's basically what I aspire to be in life. Plus he's had so many adventures and known all these amazing people. He was friends with the amazing characters I love from The Infernal Devices and The Mortal Instruments. My favourite book blogs are: reign of reignofbooks.tumblr.com, alexandra of twirlingpages.com and hazel of staybookish.net. Reign is one of the nicest people you'll ever meet. She is a precious cinnamon roll plus she also make book edits. Alexandra's blog is so kawaii and her instagram is aesthetics. Hazel is so nice and helpful, as a new blogger I'm not yet familiar with codes and html and she's always patient with me when I'm asking questions. I'd like to say a huge thank you from all of us here at BB to Isha for taking part in this interview. If you are a booktuber or book blogger and would like to be featured in a similar post we'd love to hear from you - just email us at bloggersbookshelf@gmail.com for information! 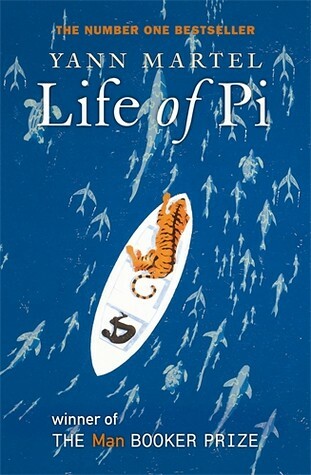 'Life of Pi' follows Piscine 'Pi' Patel, whose parents own a zoo in Pondicherry, India. At first, the narrator tells us that this is a true story, and we get to know Pi in his hometown, learn about his relationships with teachers and friends, and travel with him through his discovery of different religions. There is a lot of talk about the animals - zoo theory if you will - and how they get on and live in a zoo instead of escaping or killing each other. Only about the first third of the book is based on the description of Pi's formative childhood years. The back of the book tells us, so I don't mind telling you, that the family decide to move their zoo to Canada, but the ship they travel in sinks before they can get to the other side of the Pacific Ocean. Pi is the only survivor, and makes his way to the only functioning lifeboat along with a hyena, a zebra with a broken leg, an orang-utan and a massive Royal Bengal tiger. The story is quite a powerful one, and I really enjoyed finding out about how Pi survived for many months on his lifeboat. The novel seemed to be well-researched, with details such as the different types of fish he caught, methods of gathering water when floating on the sea, and how not to be killed by a vicious predator. The moods Pi goes through seemed realistic, too. I can imagine that somebody would have a hard time surviving under that pressure, knowing that they had lost their family and that they may not see land again. I am not a religious person but even so, I did not find Pi's religious exploration of faith overwhelming. It was not preachy. Pi tries several different religions so he can't really be biased. It did not interfere with the story, for me. While I read, I really did hope that Pi would survive. I grew to like his storytelling, and looked forward to a victorious reunion with land, because we are told at the beginning that he does live in Canada now. While the novel had a sort of happy ending, I am not a fan of the way it twisted in the final few pages. If you have seen the movie, then you will know what I mean - about how strange the ending is after such a fantastic story. I prefer to think that the final pages don't exist. Overall, I enjoyed the novel and felt satisfied with it until the weird ending. I would not let this put you off as it can be ignored if you don't like it. I must say that I liked the inclusion of animal relationships with humans/animal psychology, as that sort of thing fascinates me. If there's one thing I love as much as I love books, it's films (actually food and TV are pretty high too, but neither of those are relevant to this post I'm afraid.) So for today's post I thought I would share a few book recommendations based on some popular films. Because what's more fun than reading a book that reminds you of one of your favourite films? Actually, you can totally use this list the other way too and find some film recommendations based on books. Isn't that useful? The Selected Works of T.S. Spivet follows ten year old cartographer, T.S., as he hitches a ride on a train across country to collect a very prestigious award. This book has a lot in common with Moonrise Kingdom, the central story of a young boy running away from home being, of course, the immediate thing that comes to mind. There is also a balance of darkness and optimism that reminds me a lot of Little Miss Sunshine, and although T.S. makes his journey alone, his relationship with his family are a huge part of the book. The Selected Works of T.S. 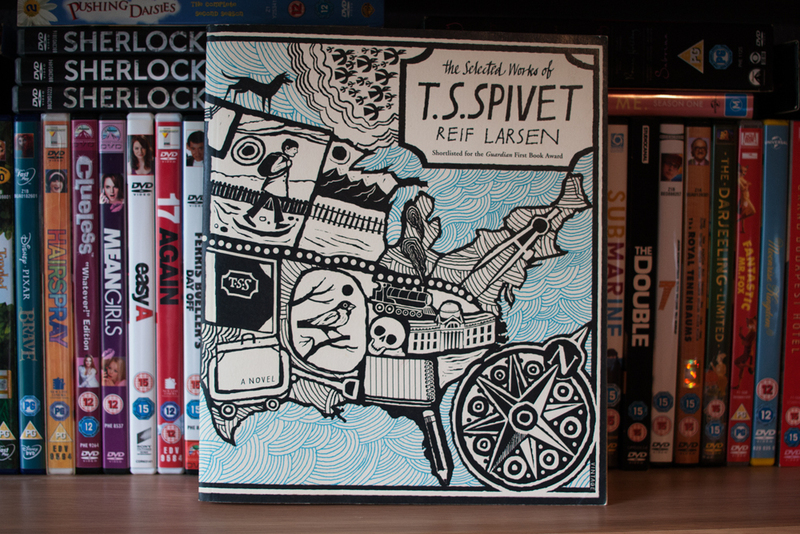 Spivet is also illustrated with T.S. 's diagrams and drawings throughout, which links nicely with the beautiful look of both films. Okay so I know everyone and their mother has already read Eleanor and Park but I couldn't make a list like this without mentioning it. 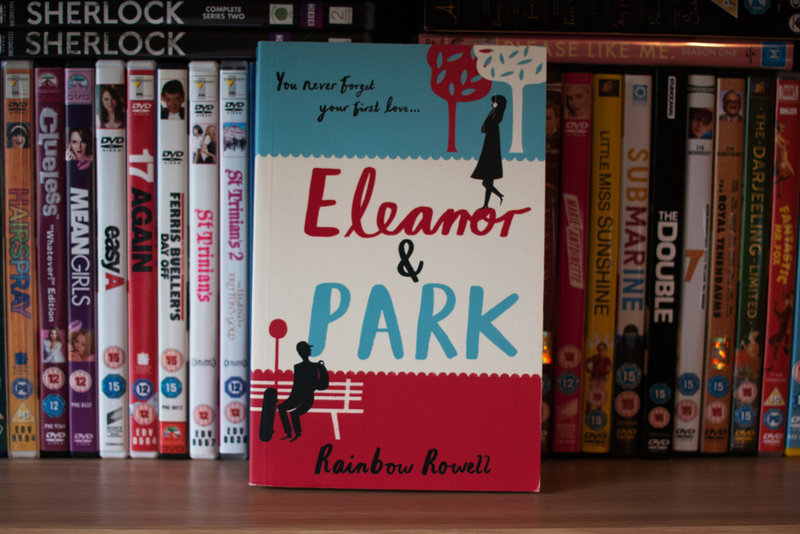 Eleanor & Park, like so many of John Hughes's teen films, is set in 1980s America, but the story of growing up and falling in love could be set in any time period and it would still be pretty much the same. In The Breakfast Club five very different teenagers are thrown together in detention and soon find out that they maybe aren't so different after all, and that they all have their own unique problems. In Eleanor & Park the title characters are thrown together on a school bus and they slowly learn the same lessons with the added bonus of falling in love. I'm going to admit here and now that this one is probably the most tenuously linked comparison on this list. Also, as with Eleanor & Park, pretty much everyone in the world has already read this book. Hear me out though, Rushmore and Looking For Alaska have a lot of differences. 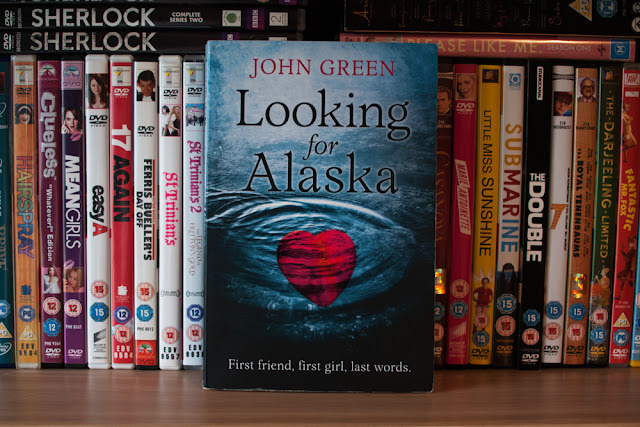 For example, Rushmore Academy is not a boarding school, and there are no plays in Looking For Alaska. They do, however, share a vibe. They both have a sense of adventure and they're both about teenage boys trying to find their ways in the world. They also both feature doomed crushes and lessons learned. Also the main protagonists of both books are a little pretentious and friendless when their stories begin. Which, for some reason, is the kind of thing I like in a main character. Quite simply, these are both unique interpretations of Shakespeare's Romeo and Juliet. Whereas Romeo + Juliet sets the famous story in 90s America with guns instead of swords, Warm Bodies makes Romeo a zombie. 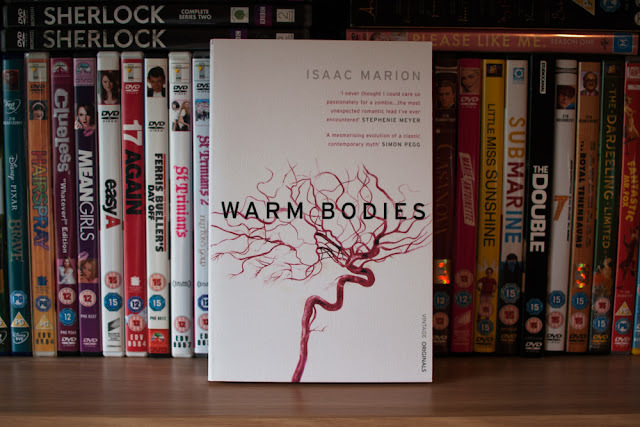 There's really not much more to say, but if you liked Baz Luhrmann's take on Romeo and Juliet then I think you might enjoy Isaac's Marion's too. 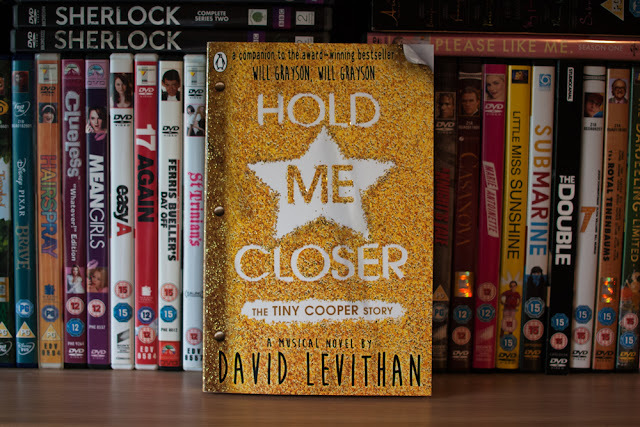 Hold Me Closer is the companion novel to the equally brilliant Will Grayson, Will Grayson by David Levithan and John Green, but what makes Hold Me Closer unique is that it is not actually a novel at all. It's a script. A musical script, in fact, (although with very novel-like stage directions) written by the best character in Will Grayson, Will Grayson, Tiny Cooper. This is definitely a book for musical lovers, which I definitely am, but it's more of a Priscilla or Hairspray than Evita or Les Mis, if you know what I mean. It has its sad moments, as any good musical does, but by the end of the show Tiny makes sure you feel uplifted and positive, just like all my favourite musicals do. So those are just a few book recommendations for fans of some excellent films. Do you have any film-specific book recommendations to add to the list? I'd love to hear them in the comments! Black Cairn Point is the story of a camping trip gone wrong. Whilst in an isolated area of Scotland a series of events that can only be explained by the supernatural leave just two survivors; Heather and Dougie. The story is recounted through the eyes of Heather who, thanks to that fateful trip which left Dougie in a coma, is left alone with her sanity being questioned by everyone including her own family. The group of five teens which also includes Emma, Martin and Darren, head out to the middle of nowhere armed with camping gear and alcohol to celebrate Dougie's birthday. Whilst out exploring Martin, Dougie and our narrator Heather come across some ruins which aspiring Archaeology student Dougie identifies as a tomb... or cairn. Inside they find an old brooch and make the mistake of removing it from the cairn, taking it back to their camp. Soon after the teens begin to disappear one by one under mysterious circumstances and Heather starts to believe that they have disturbed a vengeful spirit. If I'm being completely honest I'm not usually one to opt for books with a supernatural element however the rest of the blurb (including Hot Key's key which says the book contains isolation, suspicion, survival and danger), plus pretty front cover caught my eye whilst browsing the stalls for new reads at YALC. This particular novel sounded so interesting that Ria picked up a copy as well! The novel switches between present day and Heather looking back, explaining what happened on the trip allowing the reader to slowly piece everything together. 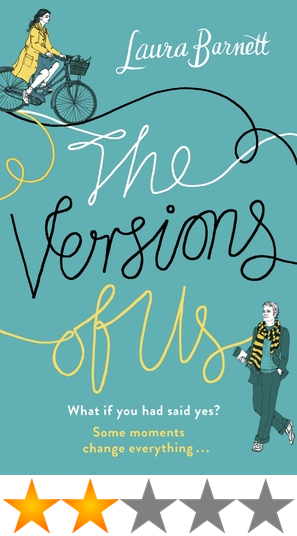 Having recently read quite a few other titles within the thriller/mystery sub-genre of YA I was pretty sceptical about Heather due to the unusual circumstances and spent a lot of time questioning whether she was a reliable narrator. I didn't love the other characters either but somehow that didn't manage to take away from my enjoyment of reading their unique story. As horror goes the events of the actual camping trip felt uneasy with a chilling atmosphere but didn't necessarily scare me as I read. The same can't be said for the later chapters detailing Heather's present day life trapped in a psychiatric ward accused of being 'crazy' simply for trying to explain what she saw out in the middle of nowhere. With Dougie still in a coma Heather can do nothing but wait for him to wake up and prove that she is telling the truth, attending appointments with Dr Petersen and sitting alone in her room at the facility. The ending of the book is definitely one that will divide opinion amongst readers, although I'm happy to say that I really liked the conclusion and found it to be very fitting considering the creepy tone of the novel. So would I recommend picking up a copy of Black Cairn Point? In short, yes. This quick read is intriguing and perfectly creepy, although I wouldn't suggest taking it with you on any camping trips! This month we asked our team about their reading habits. Here's what they had to say about reading goals, routines, books on-the-go and more! Do you have a set reading routine? Cat: I don’t really have any set reading routine, generally it depends on the book when and how often I’ll read it. Christina: Not really, I have to be cosy and free of all distractions - my phone is usually on ‘do not disturb’ and I make sure I have plenty of time to really get into the book before I start reading. Are you a seasonal reader: curled up by the fire with a book in the colder months, or lying on the beach with a summer read? Christina: Yes! When I think of ‘reading’, I automatically think of being in my bed, all cosy, radiator on next to me, candles lit and rain/snow on the window. Don’t get me wrong, I love reading on the beach, but there’s something special about being all cosy reading when it’s awful outside. 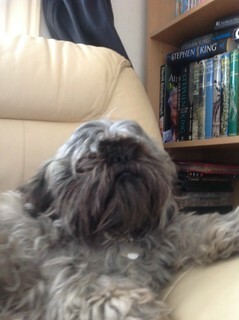 "With full time work I've definitely found I have to make more of an effort to sit and read. I have the shortest commute on the planet (about 10/15 mins on a bus! ), so I try and cram in as much as I can then. I do also make sure I have a book or my Kindle with me when I travel anywhere at the moment - so even if I've been out running errands and have a minute to stop off for a coffee I have a book with me. I've also found Saturday mornings in bed or on the sofa are optimal reading times too. Is there a time of day you enjoy reading most? Christina: When it’s dark. I used to love reading in the morning, but if it was a hard, darker read (and I read a lot of those) it put me in a strange mood for the day, so now I prefer to read in the evening/once it gets dark. It just feels that much cosier. 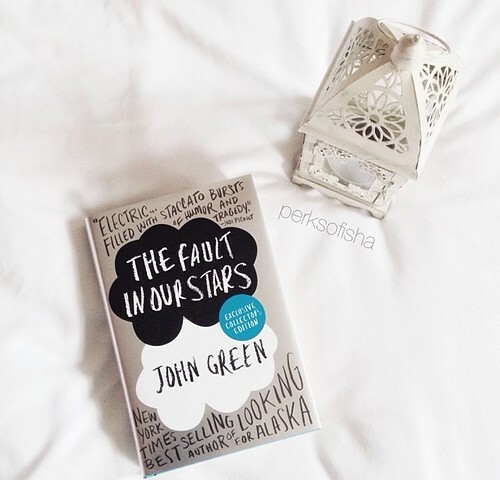 The Bookwhore Diaries: I enjoy reading at night when everything is calm and quiet. Cat: Early mornings and evenings are my favourite time of day to read, I often find that it’s quieter and easier to focus. Do you always travel with a book in hand? The Bookwhore Diaries: Nope. I don't. I love the books too much that I fear it will harm the book if I bring them. I do bring my Kindle though. Cat: Yes of course, if I go on holiday or do any train travel I will always take a book with me. Christina: Yes and no. I don’t tend to take physical books with me when travelling, as I am very much a mood-reader and couldn’t stand choosing a book, only to feel I’m not in the mood to read it, and ending up with nothing to read. I prefer to take my ipad, which has a range of books on the kindle app, as well as the ibooks app too, so I never run out of choices. How often do you pick up a book? Cat: I can’t say that I pick my book up every night, but I do try to read before bed as it helps me to relax, and at the weekends I love to read in bed in the mornings with a cup of tea. Christina: Everyday without fail. Usually on an evening but sometimes throughout the day too, if it’s a weekend. The Bookwhore Diaries: Every night AND every Sunday. 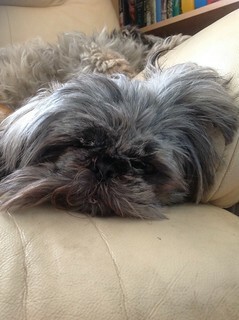 I'm always lazy on Sundays. Do you set goals such as a target number of books to read each month? Christina: Not monthly goals, but I’m a big fan of the Goodreads goals. Mine is currently 100 for 2015 and I’m around 57 books in so I’m pretty proud. I try to read a few books a week so it gives me enough content to write about and review, but if I can’t manage it, I don’t push myself. Erin: I don't tend to set target numbers although I occasionally make myself a TBR list for the month ahead - particularly when I need to catch up on my Netgalley shelf! Cat: No I don’t generally sent myself any target number each month, I’d never keep to it. Now it's your turn to tell us about your reading habits! Don't forget to leave us a comment and let us know how you would answer some of these questions. Next month we'll be showing off our creative side and having a go at making some book spine poetry! If you'd like to get involved just email bloggersbookshelf@gmail.com or drop us a tweet @blog_bookshelf! "A man is walking down a country lane. A woman, cycling towards him, swerves to avoid a dog. On that moment, their future hinges. There are three possible outcomes, three small decisions that could determine the rest of their life. According to the wonderful internet, this book is 'One Day meets Sliding Doors', except rather than just two different Gwyneth Paltrow story lines, there's three...and no Gwyneth. In two versions, Eva and Jim meet when they're young, in Cambridge as the description reads, but in the third they don't meet until later. Each version follows their stories, and how their lives played out if things had been different. I have mixed feelings about this book. I love the concept, and the idea behind it, and how it delves into 'what if' life stories - we all wonder 'what if', don't we? - and I did like the characters and the way Barnett writes. Having said that, it was all written in present tense, which I don't really enjoy at all, and it was very confusing trying to keep up with each version of the story and how it differs from the others. It seemed to get harder as the book went on, because Eva and Jim grow up, and there are children in all three versions, and I was constantly thinking 'wait...I thought this child was in the other version', and 'I thought that other guy was that kid's father...' etc etc. I think it was because it was so difficult to keep up with (though that's probably just me - a lot of people absolutely loved this book), I didn't really engage with the characters much, and it took me 3 weeks to read it because I wasn't invested in their lives, and I didn't really care what happened in the end. However, overall it was a good story, and I did enjoy the ending/s. It was full of love and friendship, divorces and deaths, laughter and losses, trying to find that happy ending with the person you (perhaps) should have been with from the beginning, and really deeply exploring the 'what if'. It's just recently been released, and you can find it in your book stores, on Amazon, or Book Depository. If it sounds like your kind of thing, do pick it up. I suspect if I hadn't struggled with it so much, I would have enjoyed it overall a lot more. Let me know what you think if you give it a read! Also...how cute is that cover!? I have a confession to make. I have an undergraduate degree in English Literature but I really struggle with 'The Classics'. Oliver Twist bored me to tears, I read the whole of Jane Eyre without taking in any of it, and I have never managed to read past the first few pages of Pride and Prejudice. I love a good miniseries adaptation of a classic novel, but when it comes to actually reading the books I just stall. It made things more than a little difficult when I was studying Victorian literature at university. I am getting better though. I'm starting to find my groove with a few of the more modern classics and today I thought I would share with you all some of the classics I, a self confessed classics-struggler, really enjoyed. One thing you're going to notice about the books on this list straight away is that they were mostly written in the early half of the 20th century. 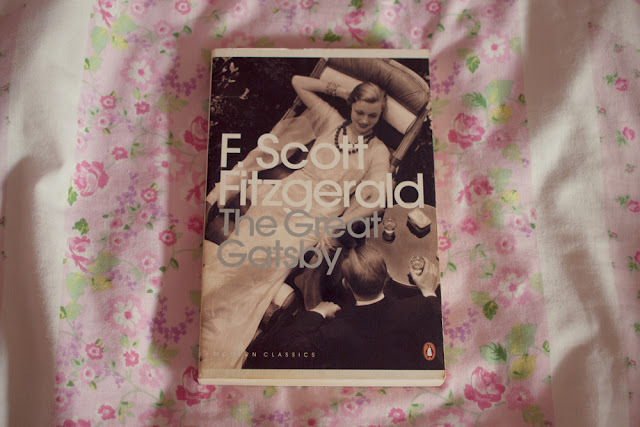 I'm sure no one would argue though, that The Great Gatsby is definitely a classic. The America that Fitzgerald describes in The Great Gatsby feels both old enough to be almost otherworldly and modern enough to be familiar, and that's a balance that will definitely help if books written before the 1990s are a bit of a foreign concept to you. The Catcher in the Rye is a bit of a divider in terms of opinion. 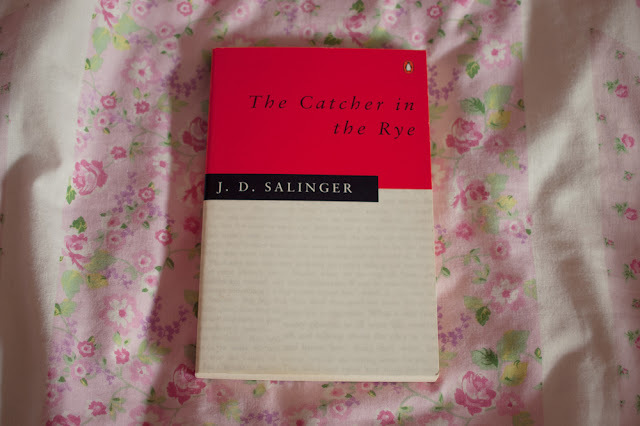 Some people love Holden Caulfield, other people hate him. 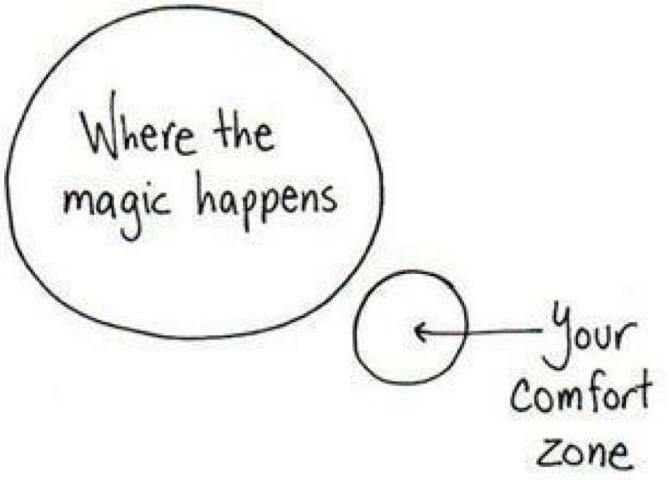 I'm somewhere in the middle. However, if you're a fan of YA then you won't find many Classics more appropriate to your interests than The Catcher in the Rye. I particularly recommend it if you're a fan of John Green. 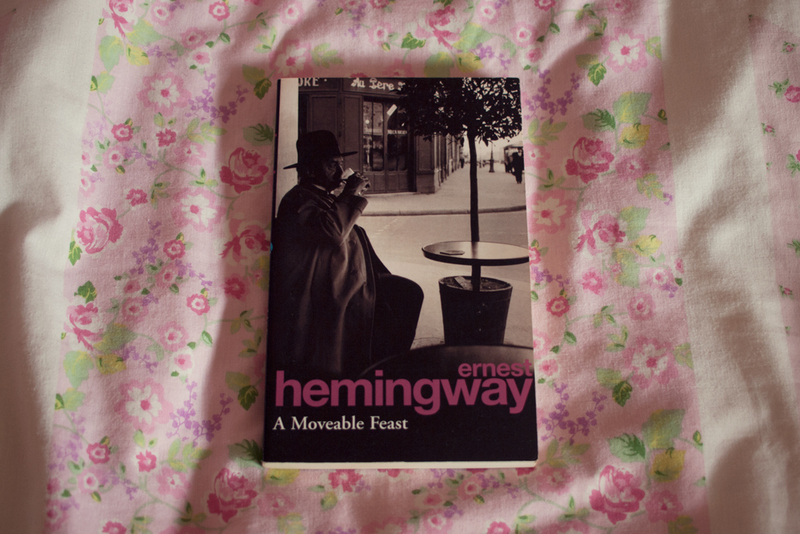 I've read a few of Hemingway's books and I love them all but A Moveable Feast, the memoir of Hemingway's time living in Paris, is probably my favourite and it's great fun to read if you're aware of the writers and artists of the time, because a lot of them make appearances. I find Hemingway's work pretty easy to get into because he never uses excessive words like certain older writers *cough*Dickens*cough* so the sentences are usually pretty simple, which, in my opinion, makes it a lot easier to understand what's going on. 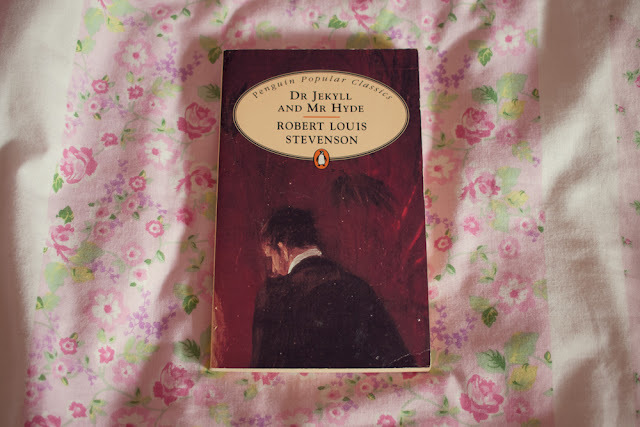 You're probably familiar with the story of Dr Jekyll and Mr Hyde even if you've never read it. That, combined with how short it is, make this a really easy book to get into and enjoy for my fellow Classic-phobes. Saying that, what I actually enjoyed most about reading Dr Jekyll and Mr Hyde was finding out that I didn't know the story anywhere near as well as I thought I did. So even if you think you know it, I bet you'll still be surprised. The Picture of Dorian Gray is another story that I thought I knew pretty well but it turned out there was a lot in there that I had no idea about. It's just as witty as Wilde's plays (and the quotations from his every day life that get thrown about constantly) but it's also pretty dark. A lot darker than I expected, actually. 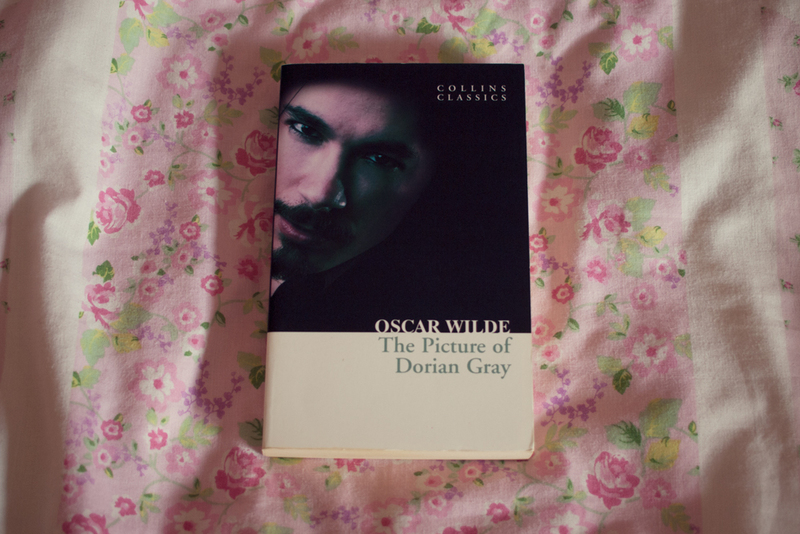 Although The Picture of Dorian Gray is very much of its time, Wilde was a pretty modern person and that definitely comes across in the story. So those are just a few recommendations for people, like myself, who want to get over their Classics fear. If you have any more recommendations I would absolutely love to hear them! I'm always looking for more Classics to add to my tiny collection. Ernest Cline's latest novel follows high-schooler Zack, a dedicated gamer whose life is turned upside down one day when he spots a UFO that looks suspiciously like one of the ships from Armada, his favourite video game. Initially Zack shakes it off as a hallucination but when he thinks back to the conspiracy theories he once read in his dad's old journals Zack begins to realise the truth; alongside films and other media, Armada has been preparing humans for a real alien invasion. "Extraterrestrial visitors had permeated pop culture for so long that they were now embedded in humanity's collective unconscious, preparing us to deal with the real thing, now that it was actually happening." If I’m being completely honest I’ve been putting off writing this review. Not because I don’t have anything to say, but because I was so entertained by the book that I’m not sure where to start. With that in mind I’m going to attempt to keep this review pretty short and sweet… partly to avoid spoilers and partly because you should probably stop reading my ramble and pick up Armada instead! In the three years since I read Cline's debut Ready Player One - which to this day remains a favourite - I had been impatiently waiting for his next release and I was very lucky to have the chance to read Armada before it's release date. When the synopsis for the book first appeared I'll admit, I was a little worried about how original the story would be, but was still excited to find out more. "I knew Armada was only a videogame, but I'd never been one of the "best of the best" at anything before, and my accomplishment gave me a real sense of pride." The events of Armada take place over just one day and there is a huge amount of action packed into those few hours making for a pretty intense and exciting read. Of course, I adored the pop culture references present throughout the novel as well as the way that the fictional game of Armada played into the story. Another element that stood out to me was the exploration of Zack's character and family through flashbacks. I really loved this part of the story and was pleased to find that even though we're only taken along for the ride for a short period of time there was still a chance to get to know them all a little better. Whilst I have to say I didn't love it as much as Ready Player One, Armada was still perfectly geeky and a great entertaining read. I had a lot of fun following Zack and co. on their journey to save the world and look forward to finding out what Cline will come up with next. 1/ Sharing The Love For Re-Reads! - Rebecca shared this great post featuring six of the books she loves to re-read. Are you a fan of revisiting old favourites, or do you prefer to read only new books? Don't forget to let us know in the comments! 2/ One For Aspiring Authors - this short post from Laura discusses how characters are created. Do you plan out every little detail and personality trait of your characters before you start writing? Or do you prefer to let them develop as you go along? 3/ Tips For Reviewers! 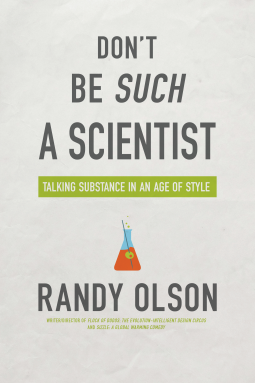 - in a recent post blogger Jenny shared her best advice on writing reviews. We love learning about other people's processes for writing up their thoughts on a book so this one makes for an interesting read! 4/ Why YA Is Important - obviously we're big fans of the genre here at Blogger's Bookshelf so naturally we really enjoyed reading Zara's post on the importance of YA literature.Why do you read YA? Let us know in the comments! 5/ The Problem With Novellas - as part of her Book Nerd Problems series Debby tackled the subject of mid-series novellas in this post from 2013. Are you a fan of these extra little snippets? Or would you prefer to just wait for the next full-length novel? 6/ Mysterious Reads - in this 'Wordy Wednesday' feature Julia talks about how every story is a mystery, no matter what the genre. Is the fact that all books keep you guessing what will happen next all part of the charm of reading? 7/ What Makes A Book 'Popular'? 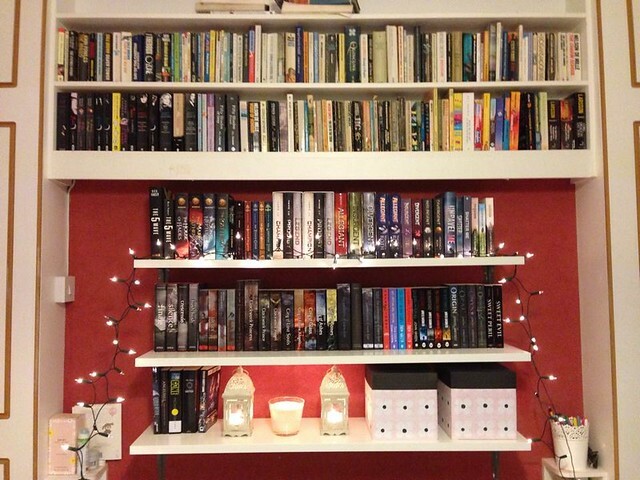 - in this post over at Reading Teen Becca explores the term 'popular series' by looking at a selection of people's answers to the question 'What is one series that you feel like everyone has read but you?'. 8/ Multi-Format Reading - Josephine shared a really interesting article on multi-format reading and why it works for her. Is this something you do too? We'd love to know!